Johanna holds a PhD in International Business Management, specifically in the area of MNC subsidiary innovation. She also completed a Masters degree in Corporate Strategy & Human Resource Management. With over 10 years lecturing experience in Strategic Management, Innovation and Entrepreneurship, International Business, and Cross-Cultural Management, Johanna has designed and facilitated innovative programmes, flexible to be delivered in both traditional academic and industry settings. Her classes are interactive and engaging, with a strong emphasis on industry-based examples. Johanna is research-active in the area of multinational subsidiary innovation and its impact on local economies. Johanna previously acted as Registrar of a private business school, Galway Business School, and prior to this was a management consultant with Accenture plc. Johanna is an active advisor and volunteer in the business and social enterprise scene, and is currently non-executive chair of SCCUL Enterprises in Galway city. My research specialises in the area of international management / strategy and more specifically the networks and knowledge flows that influence and are influenced by the dual embeddedness of multinational company subsidiaries, based in Ireland. 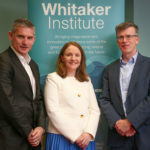 The dynamics of local clusters and the ecosystem that is continuously evolving in the medical technology sector of the West of Ireland is of particular interest, as is the HQ-subsidiary relationship. I have recently been successful in getting published along with my co-authors in 4* British Journal of Management. Along with other co-authors, we have two other papers under review at the 3* International Business Review and the 4* Human Relations journals. My strategy in the short to medium term is to bolster existing data for an agenda we are pursuing. Other International Business journals such as Journal of World Business, Journal of International Business, and Journal of International Management will be targeted for submission of future work. I am extremely attentive to the impact and influence of my research on public policy. I am currently in discussions with IDA for the agency to learn from, and help guide, our future research plans. Representing NUIG, I am also currently co-developing a proposal with SCCUL Enterprises for an EU INTERREG grant, which is looking positive. Continued building and collaborating with my network of academics and practitioners will be key to the success of my research strategy. (2012) Specialisation, Adaptation and Connectivity in Staving off Technology Cluster Extinction, Regional Science Association 41st Annual Conference, National University of Ireland, Galway. (2011) Multinational Subsidiary Innovation and Local Knowldege Tap-In, Academy of International Business Annual Conference, Nagoya, Japan. (2008) International Entrepreneurship for Traditional SMEs via the Internet: A Longitudinal Study of Kennys Bookstore. EDGE Conference Singapore Management University Singapore. (2008) International Entrepreneurship for Traditional SMEs via the Internet. (2004) Individualisation in a Globalised Marketplace. The Irish Academy Of Management Conference Trinity College Dublin.